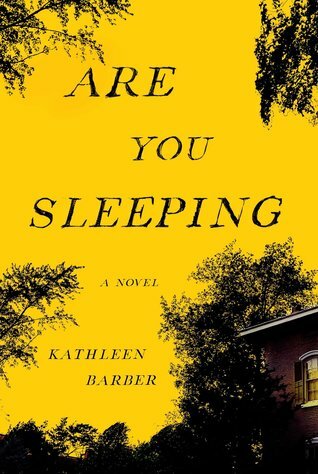 REVIEW: ARE YOU SLEEPING?, KATHLEEN BARBER – BOOKSACCINO. review// I usually love thrillers. Before I started blogging, they were my favorite thing to read. Yet, somehow, I have given up completely on that genre without even realizing it. A few days before picking up “Are You Sleeping” by Kathleen Barber, I had finished “Friend Request” by Laura Marshall because it was March’s pick for a book club I’m part of. In a few words: thought it was great but with a terrible ending. Seeing how I was kept at the edge of my seat for most of the book, I started becoming hungry for more! That’s how I basically picked up “Are you Sleeping” and boy was I not disappointed! It deserves all the nice things said about it. Are You Sleeping tells the story of Josie Buhrman, our main character, who has spent a long time away, trying to make a “new life” for herself (away from her family) which she will see ruined because of one podcast. Before all of that happened, she lived with her boyfriend, Caleb, in New York. A serious relationship and yet, he knows nothing about her past. Not even her real last name! I guess after having her father murdered and her mother running away to join a cult, she just wanted a normal thing going on for her and that’s why she lied. What she wasn’t expecting though was that a reporter was going to reopen the whole case with a brand new podcast that was a big hit. Because of that and also because of her mother’s recent death, she had to go back to her old town to figure out a way to deal with this with the same family that she ran away from years ago. One thing I really liked about this book was the way the story was told. Throughout the book we get snippets from the podcast, some comments and tweets as well as some articles about the murder and what people thought of it and the people related to it. This format definitely made the story more gripping, more interesting and more fun to read. This book could’ve easily got 5 stars if it weren’t for the ending and for the main character that I couldn’t quite love. I did manage to get over the latter detail though towards the end. As for the ending, it wasn’t horrible but it wasn’t so nice either. Especially because it was a bit predictable and it felt like it came too soon. I still enjoyed a big part of this book which is why I wasn’t so harsh with the rating. If you’re looking for a slow-paced psychological thriller, definitely check out “Are You Sleeping”. Bonus points if you enjoy Crime Podcasts!